You may have experienced or read recent news regarding the upswing in employee-related liabilities like worker’s compensation. Although Worker’s Compensation statutes are generally interpreted in favor of employees, significant steps can still be taken to manage liability and to minimize the risk in individual cases. We take on all worker’s compensation liability with first dollar coverage, eliminating this risk from your business. 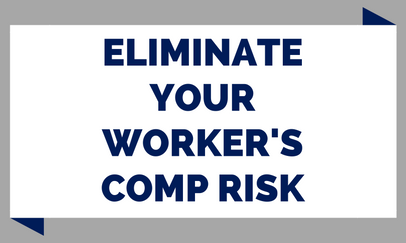 This means you no longer bear the employment-related risk and have no deductible should a worker’s comp issue arise. When you partner with TeamOne Logistics, as part of our Integrated Workforce Solution, we take on the responsibility and management of these liabilities, thereby eliminating the risk to your business. We provide you with first dollar coverage, meaning as soon as the employee becomes a TeamOne Logistics employee, any future claims are our responsibility and there is no deductible that must be paid by your company. Best Practice Processes – We use best practice processes that involves a thorough reporting and investigation of the alleged injury, including the involvement of healthcare providers. A comprehensive investigation provides the best chance of determining the authenticity of a claim and to expose a fraudulent claim at an early stage. First Report Of Injury (FROI) – Electronic FROI reporting ensures that each claim is reported timely and accurately. This also includes electronic tracking of OSHA 300 and OSHA 300A forms. Active Ongoing Contact – Our team keeps an interactive, documented dialog with the injured employee via a weekly call process that reduces compensation cost, minimizes litigation, and contributes to returning the employee back to work sooner. Return-to-Work-Program – We pursue return to work opportunities on a case-by-case basis. When available to us and the employee, it can expedite the process of returning the employee to the workforce and possibly mitigate the open claim. Worker’s Compensation Audits – We aggressively manage our claims and conduct audits of our practices and policies for continuous improvement.